As I sit down to write this blog, my son is sleeping soundly in the room. In two weeks time he’ll be turning three years old. I can’t believe that it has been almost three years - three years of a bittersweet journey, I should say. There is no amount of book reading and note taking that can truly prepare us for the adventure we'd experience as a mother. If there was a detailed instruction manual that would come with your child, motherhood would be a piece of cake. 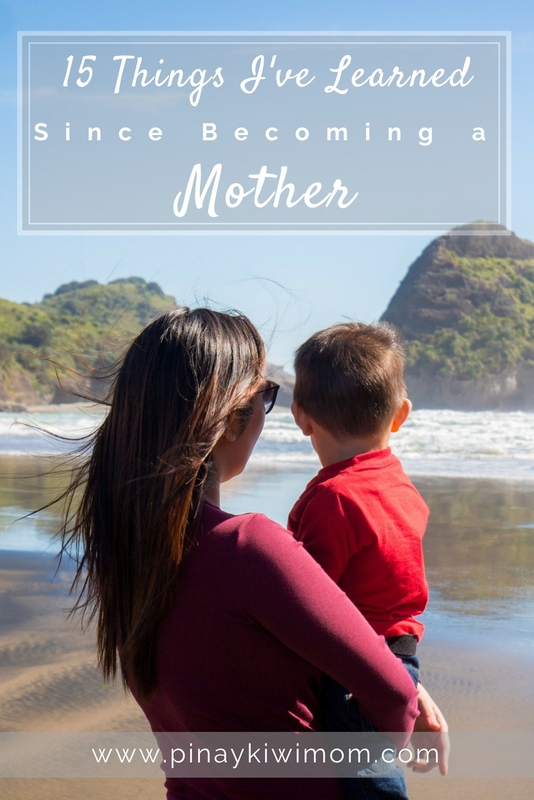 To laud my third anniversary of being a mom, I have come up with a compilation of the things I’ve learned since becoming a mother. 1. Parenting is an experiment with no immediate results. 2. Multitasking will be something that becomes second nature. 4. Gaining more patience than I’ve ever thought possible. Now I see why they say "Patience is a virtue"
7. No one gets affected by my son’s cries as much as me. 8. Having a shower or peeing with an audience is just standard now. 9. Loving unconditionally and selflessly. 10. Taking too many photos and videos, of the same thing. 11. No matter how frustrated or angry you get to the point of yelling or screaming, hear your own childs laughter puts a smile everytime. 12. Traveling with a baby / toddler becomes a whole new ball game. 13. Living in the moment instead of waiting on the next milestone. Above all, I am learning to enjoy every moment. Time really does fly and it will make you sad so soak it up and make memories. Even through all the stress, ups and down, busy moments and the sleep deprivation you can open your squinting eyes, you can look at your child and know that they are the most amazing wonder in this world. The list could go on, but this will do for now. What are the things that you’ve learned since becoming a parent? I’d love to hear your insights in the comment section below!